From Fray comes a well crafted and illustrated story that absolutely made my day. I want more of this on the ‘net. 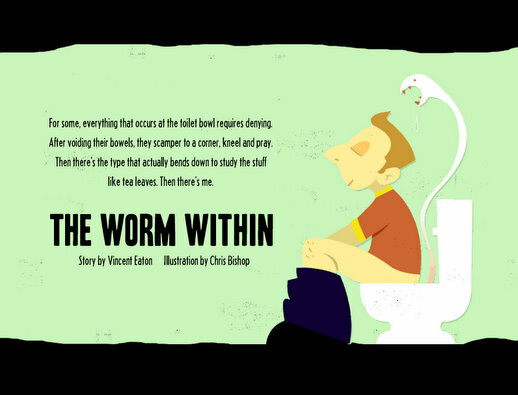 Be sure to read The Worm Within, written by Vincent Eton and illsutrated by Chris Bishop. I read almost all of the first incarnation of Fray. The staccato, yet rich style combined with the stories themselves moved me, frequently. I haven’t followed the new version very much, but I might just. I’m of a mind for some enrichment. I’ve been too lax in my enjoyment reading online. It’s way to easy to get caught up in political punditry and swine ‘flu scares and the vapid twitterisms I see out there. I’d never really been to Fray before, I sure am glad I found it.